Today I will be writing a review about Earn2trade to help you in your decision of whether to join or not. 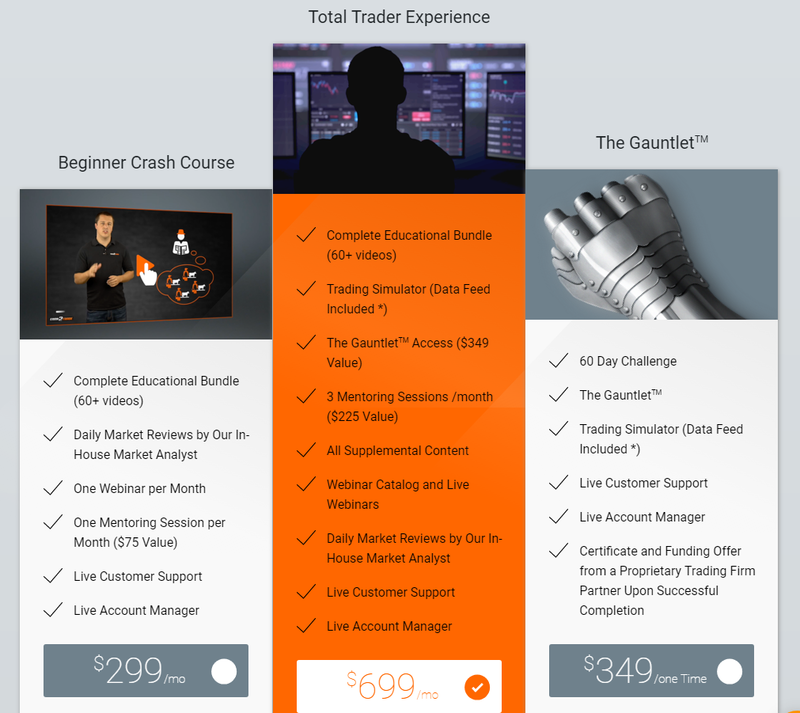 Earn2Trade is a new comprehensive Futures and Forex education provider. By comprehensive, I mean the creators of this project want to provide traders with educational videos, webinars, trading simulators, reference guides, quizzes, assignments, ongoing support and mentor-ship. All of this comes at a price tag of $700 a month. This is certainly a lot for most beginners to handle but let me continue with the review and let you make the decision for yourself. Earn2trade is run by two experienced traders, and supported by accomplished educators and outstanding developers. Its co-founders are Ryan Masten and David Lojko. It is not sure where there head quarters is located in the US but they can be reached at support@earn2trade.com or 1-888-502-2260. What is Earn2trade all about? Earn2trade’s goal is to teach people how to become successful professional traders. The team consists of 4 main members, a teacher, a developer and two active successful day-traders. This program provides 3 distinct plans; Classic, Live and Gauntlet plans as shown in the table below. The classic is the cheapest while the live plan is a combination of all three plans and thus the most expensive at $699 a month. That is a seriously big price tag! The classic plan is designed for traders who want education only. The other two plans have more added to it to help anyone supposedly become a professional trader. What then is the gauntlet package? 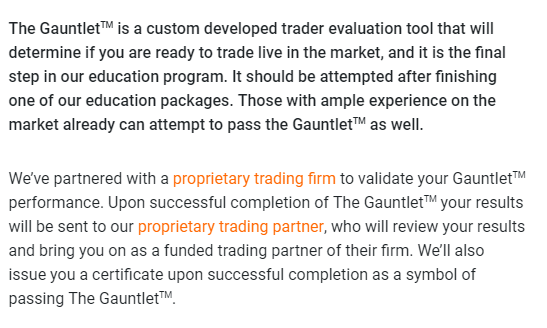 Gauntlet is basically a simulated program that provides members with faux cash to practice trading with for 60 days to prove their prowess. This plan is meant for those who already know a lot about trading and will like to proof their skills to a propriety trading firm. During these 60 days evaluation, information is gathered as you trade and at the end of it, Earn2trade claims that, you can submit this data to a proprietary trading firm associated with their team. The statement below was provided by E2T to explain the gauntlet. So according to the statement above, this propriety firm will in turn, review your performance during this 60 days evaluation period and if they like your performance, they will invite you to join their firm as a professional trader and trade real money. If all of this is true, this means you will be trading with the companies money but you will still retain 80% of the profits. Ok, this all sounds very fine and dandy but there is not enough information about these propriety firms. Without adequate information, it is hard to determine the legitimacy of such a company so I will advice you to tread with caution. Earn2trade sounds like a promising program. However, I have seen many programs like Wall Street Academy, and Forever in Profit come up with similar plans that never worked. The owners of E2T are professional and hopefully have though it through. However, look before you leap. 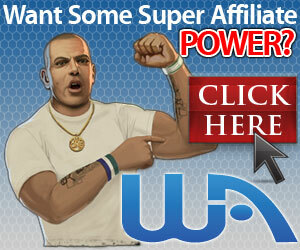 If you would like to learn of another way to make money online, try Wealthy affiliate’s free membership to learn how. Also, if you will rather find a traditional work from home job, then click here for a list of the top 100 legit work from home jobs. Thank you very much for taking the time and effort to review our site. Please allow us to briefly introduce our proprietary trading firm partner, Helios Trading Partners LLC since you raised a question about it. Helios Trading Partners LLC (Helios) is a proprietary trading firm established in September, 2016 and setup by the same owners as Earn2Trade. The model is to use Earn2Trade as an educational vehicle to find good traders to recruit to Helios. The difference between our model and other models is that when traders are brought on board at Helios, they are brought on as limited owners of the company. This was the best way to avoid any legal issues regarding unlicensed traders trading on behalf of the company. This protects the trader since it is technically illegal to trade other people’s accounts unless you are licensed to do so and have completed the necessary paperwork. We believe that we offer a competitive price in the market for high quality education. We teach our customers about the market, risk management, and technical analysis. We don’t affiliate ourselves to IB’s or other services hoping to make commissions by shopping around our customer’s data. We understand that the price tag may be too high for some individuals, which is why we offer discounts for students and veterans. We also have plans to launch a scholarship program in the future and we’ll let you know when that comes to pass. We appreciate very much your feedback and any other questions we can help you and your community with. Thank you again for taking your time to review us.